We’ll guide you, how to create a sudo user on CentOS 7. Sudo is a Linux command line program that allows you to execute commands as superuser or another system user. The configuration file offers detailed access permissions, including enabling commands only from the invoking terminal; requiring a password per user or group; requiring re-entry of a password every time or never requiring a password at all for a particular command line. It can also be configured to permit passing arguments or multiple commands. In this tutorial, we will demonstrate, how to add a user to Sudoers in CentOS. Adding a sudo user to sudoers in CentOS 7 is a fairly easy task if you follow this 5 steps below. 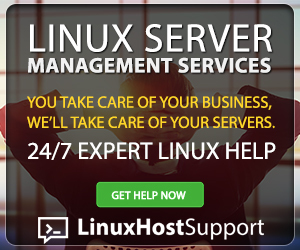 Congratulations, now you have a sudo user which you can use to manage your CentOS 7, operating system. 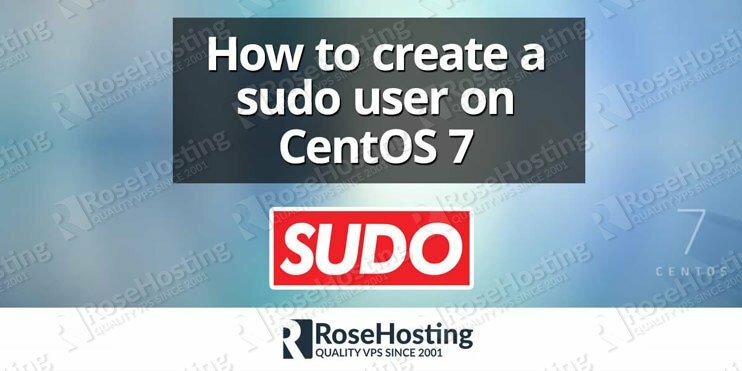 Of course, you don’t have to create a sudo user on CentOS 7, if you use one of our CentOS 7 Hosting services, in which case you can simply ask our expert Linux admins to create a sudo user on CentOS 7, for you. They are available 24×7 and will take care of your request immediately. PS. If you liked this post on how to create a sudo user on CentOS 7, please share it with your friends on the social networks using the buttons on the left or simply leave a reply below. Thanks. Thanks for sharing. Looking for the commands to create a new user with full access. Thank you so much for this straightforward article! Helped me out immensely!